A large lenticular cloud hangs over Stones Peak and Cub Lake in Rocky Mountain National Park. 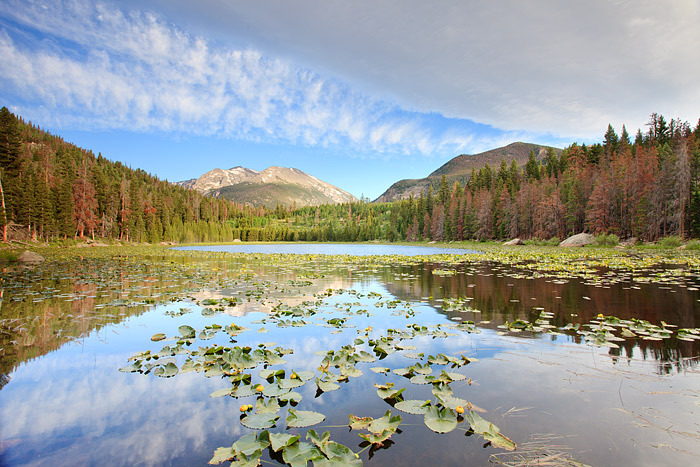 Cub Lake is situated just above Moraine Park and during the early summer months is covered with beautiful pond lillies. Photo © copyright by Thomas Mangan.